1. An R&B-ish player whose music sometimes crosses over into jazz, Walter Beasley's sound is a bit derivative but he is a talented musician. 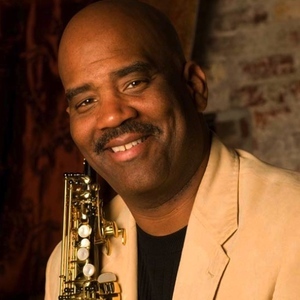 After briefly playing trumpet, Beasley switched to saxophone when he was nine and was soon inspired by Grover Washington, Jr. He attended Berkley College and, after graduating at age 22, became one of the school's teachers. In 1987, Beasley released his first self-titled album and since then has recorded two sets for Mercury and several for Shanachie (culminating with Rendezvous in 2002), in addition to often accompanying R&B singers. In 2005, he released his debut for Heads-Up, For Her. In 2006, Shanchie released Live, a concert club set from 1998.